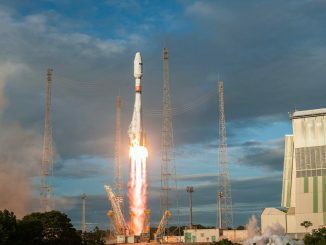 Developed by NEC Corp., the ASNARO 2 satellite launched Wednesday was developed with $144 million from the Japanese government, an investment aimed at crafting a new Japanese-built satellite platform for sale on the international market. The 1,256-pound (570-kilogram) ASNARO 2 spacecraft lifted off at 2106:11 GMT (4:06:11 p.m. EST) Wednesday from a hillside launch pad at the Uchinoura Space Center overlooking the Pacific Ocean. 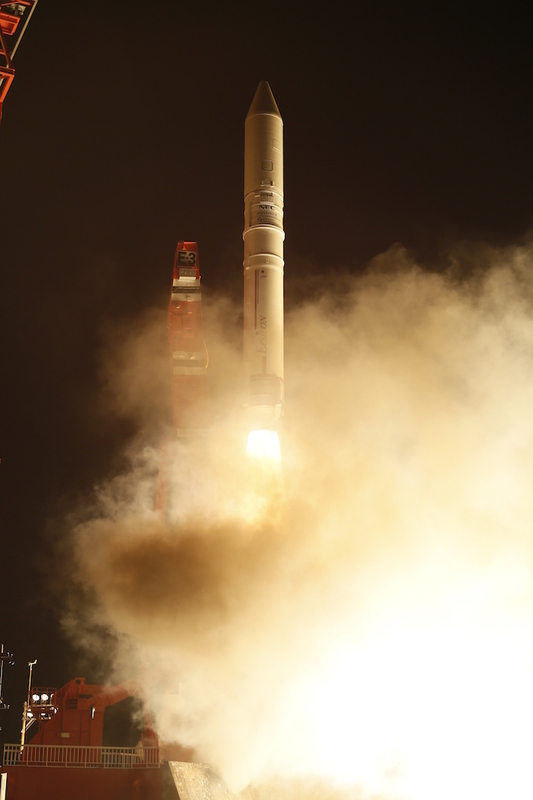 Liftoff occurred at 6:06 a.m. Thursday Japan Standard Time. 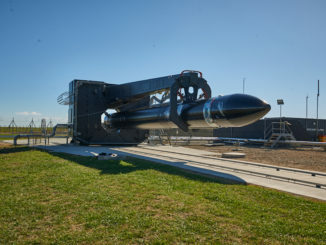 The launch was delayed a day due to the threat of lightning at the space center, and from November to resolve an electrical problem on the Epsilon launcher. A solid-fueled first stage motor powered the 85-foot-tall (26-meter) Epsilon rocket skyward with a half-million pounds of thrust, accelerating the launcher to a speed of more than 4,200 mph (1.9 kilometers per second) in less than two minutes. The Epsilon’s first stage, derived from the solid rocket boosters used on Japan’s larger H-2A launcher, jettisoned around two-and-a-half minutes into the flight, moments after the rocket’s payload shroud fell away as it climbed into the rarefied upper atmosphere. Two more solid-fueled rocket motors, the Epsilon’s second and third stages, fired in succession to send the launcher on a trajectory arcing to the south from Uchinoura, a space base on the southern Japanese island of Kyushu. A fourth stage engine consuming hydrazine fuel ignited two times to maneuver the ASNARO 2 spacecraft into orbit. The rocket aimed to deploy the satellite 52 minutes after liftoff at an altitude of more than 310 miles (500 kilometers) in an orbit tilted 97.4 degrees to the equator. The Japan Aerospace Exploration Agency confirmed the flight’s successful outcome in a press release. Wednesday’s mission was the third flight of an Epsilon rocket, a light-class booster developed by JAXA to replace Japan’s M-5 rocket family. Developed in partnership with lead contractor IHI Aerospace, the Epsilon rocket takes off from the M-5’s previous launch pad at Uchinoura, and can send up to 1,300 pounds (590 kilograms) into a polar sun-synchronous orbit around 300 miles (500 kilometers) above Earth, a common destination for Earth observation satellites. The Epsilon rounds out Japan’s launcher fleet alongside the heavier-lifting H-2A and H-2B rockets. Two previous Epsilon missions in September 2013 and December 2016 were successful. With Wednesday’s launch, the Epsilon is three-for-three. A fourth Epsilon flight is planned in late 2018 to loft multiple small Japanese satellites into orbit. 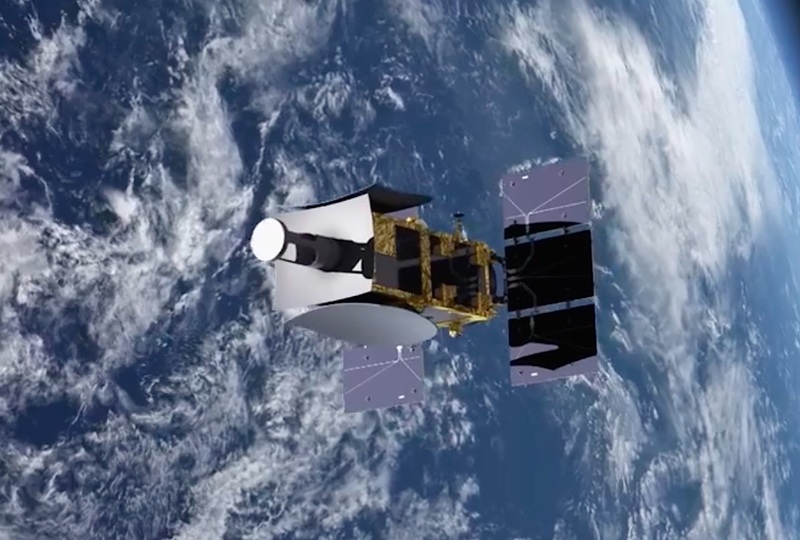 The ASNARO 2 satellite is beginning a five-year mission for NEC Corp. and Japan Space Systems, an organization founded and funded by Japan’s Ministry of Economy, Trade and Industry. The project is the second for the ASNARO program, which stands for Advanced Satellite with New System ARchitecture for Observation. The ASNARO 1 satellite launched on a Russian-Ukrainian Dnepr rocket in 2014 carried an optical Earth-imaging camera, while ASNARO 2 hosts an X-band radar instrument. Both were built by NEC Corp. on the same basic satellite platform. Artist’s concept of the ASNARO 2 satellite. Credit: NEC Corp.
ASNARO 2’s high-resolution radar payload can resolve objects on the ground as small as 3 feet, or about 1 meter. Japanese officials said ASNARO 2 is half the size of other satellites with comparable radar imaging capabilities. While clouds and nighttime can block the view of orbiting optical cameras, radars aboard satellites can take pictures day and night, and in all weather conditions. 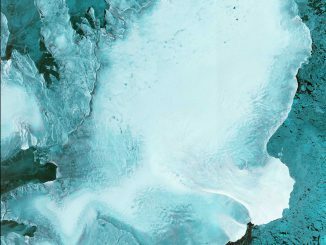 ASNARO 2’s imagery could be used to aid emergency responders, track natural disasters, monitor maritime movements, and measure changes in vegetation, such as forests and crops. NEC Corp. has received an order for at least one, and possibly two, ASNARO 2-class radar satellites from the Vietnamese government for launch in the next few years.